Why search here and there for rubber compounds when everything you need is right here with one convenient resource. PSP has developed almost 500 different rubber compounds in different hardnesses and materials to meet nearly every conceivable requirement. Does your application demand unique capabilities and/or properties? We’ll create a compound just for you! 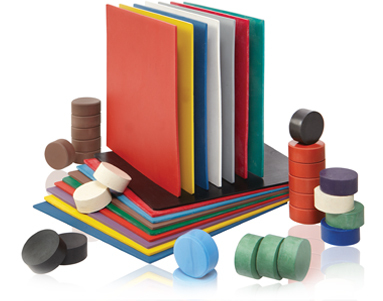 The tables below outline the most typically specified rubber compounds, plus an overview of many of our specialty rubber materials. The information below is generalized and abbreviated due to this site’s limitations. You can easily get more specific information and expert advice by speaking directly to one of our experienced compound professionals. Call or email us at sales@pspglobal.com.